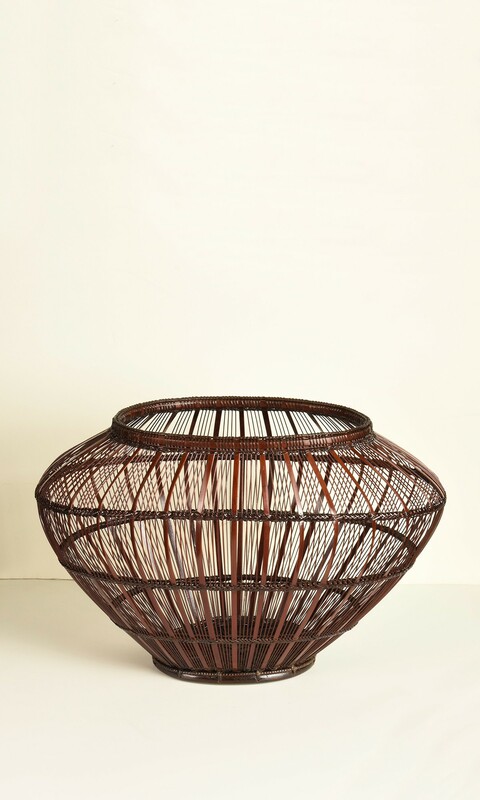 A Japanese bamboo flower basket by Chikubosai II (1917-). 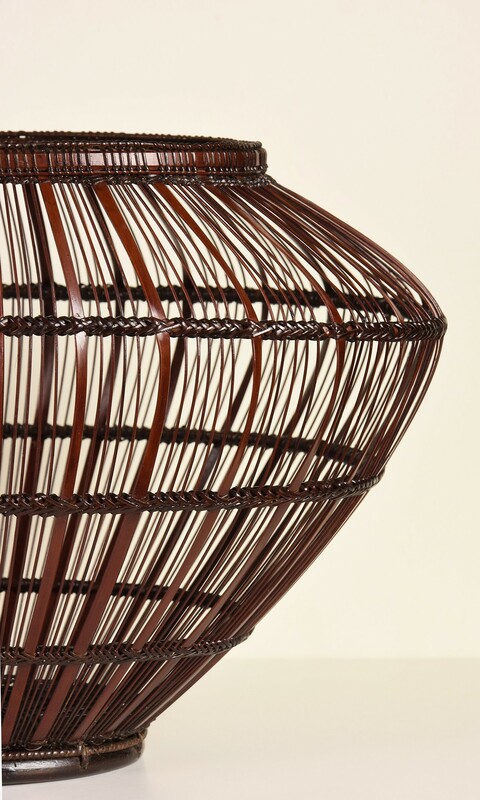 The oval form basket with simple openwork design of vertical members separated by four very thin members held together by rattan wrapped horizontal memebers. 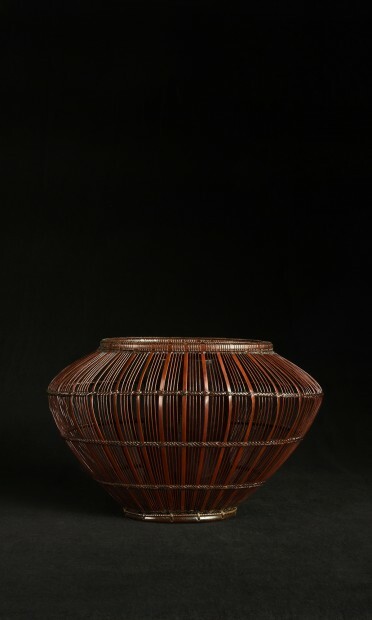 With the incised signature: Chikubosai Tsukuru (Made by Chikubosai). 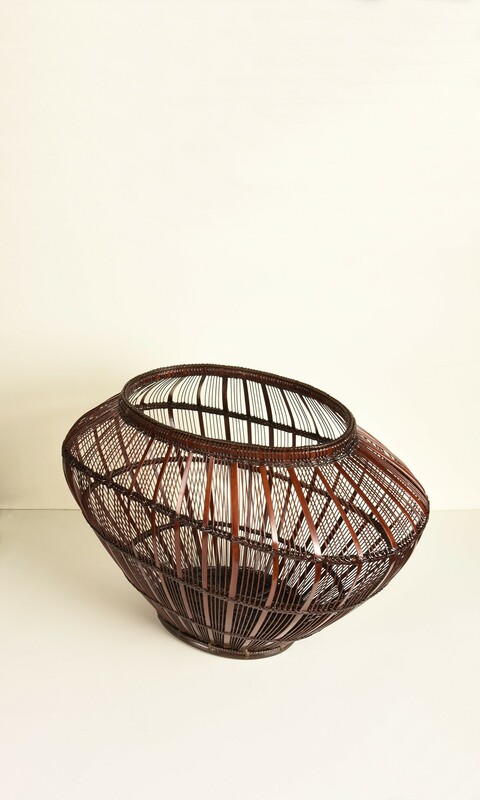 With bamboo insert water container (otoshi). 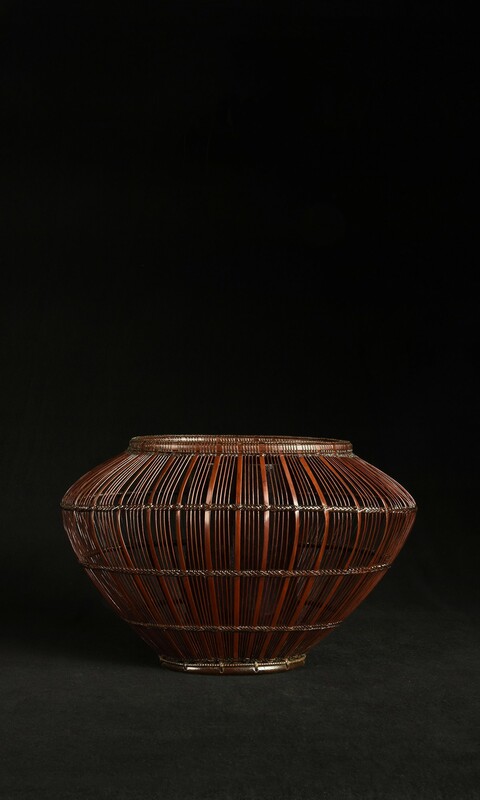 With tomobako box signed: Chikubosai Tsukuru or Made by Chikubosai, and sealed: Chikubosai.